There is something about a New Year that gets everyone thinking about improving areas of their lives. Maybe it’s a weight loss or health goal, maybe it’s a work/life balance goal, or maybe for you it’s more of a to-do list of items that you just didn’t get around to doing in 2018. 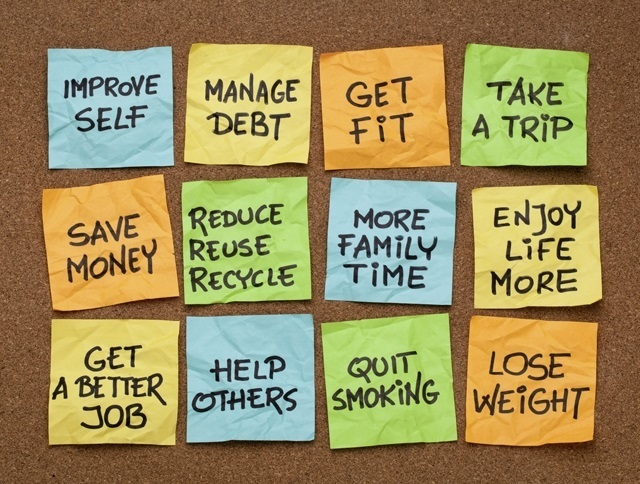 Are New Year’s Resolutions silly? Yes. Do they work? Sometimes yes, sometimes no, just ask yourself how you are doing with your fitness/healthy eating goals three weeks into the new year. Whatever your goals, resolutions are all about getting to a better place in an area of your life. Maybe for you, there are some financial goals on that list. The new year is always a great time to do a financial check-up to be sure you are on track to achieve your long-term financial goals. A few items that are good to reassess each year are: your spending habits, your risk tolerance, your expected retirement date (if you are nearing retirement age), and any life changes that may impact your big picture strategy. The recent market volatility has also kept us busy answering questions about portfolio allocation, diversification and our thoughts on where the market is headed. While no one likes seeing red on their year-end statements, one of our primary responsibilities as your financial advisory team is to help you stick to your long-term strategy in good markets and in bad. This is not the time to bookmark CNBC and check the market every hour or panic over sensationalized headlines. Rather, this is the time to trust in diversification and the portfolio we have put in place. We don’t have a whole lot of control over what happens in the short-term. However, your long-term plan is as important as ever. So, now is a good time to revisit your financial plan or consider having a plan completed if you have never done one. If a financial plan seems intimidating to you, don’t sweat it. The hardest part is pulling together all your various statements and important documents, but we make it easier by providing a document checklist. With those documents and a simple budget worksheet, we have most of what we need to create the nuts and bolts. From there, it is all about you, your needs, and your wishes for the future and, we determine all those items together over the course of a couple meetings. If 2019 is the year you would like to get all your finances in order, we are here to help. Reach out and we can talk through the steps together. In the meantime, good luck with your 5am workouts and the Whole30 diet! We hope to see you soon.